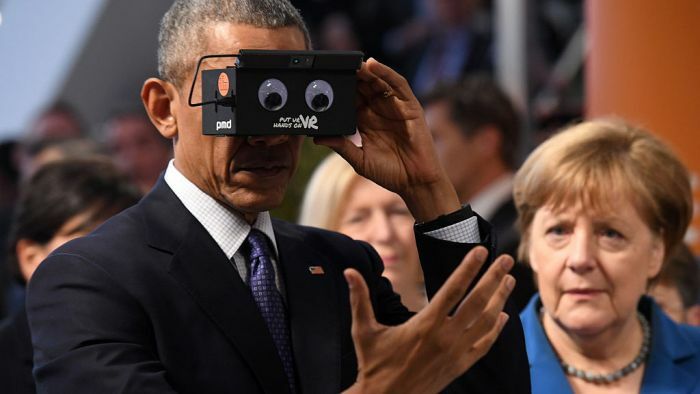 President Barack Obama recently traveled to Hannover to show support for German Chancellor Angela Merkel. 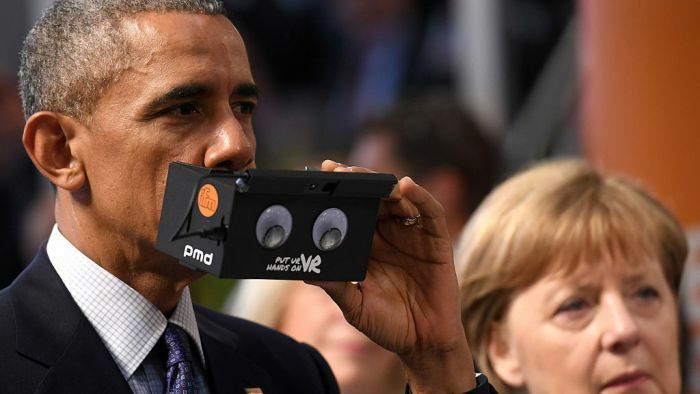 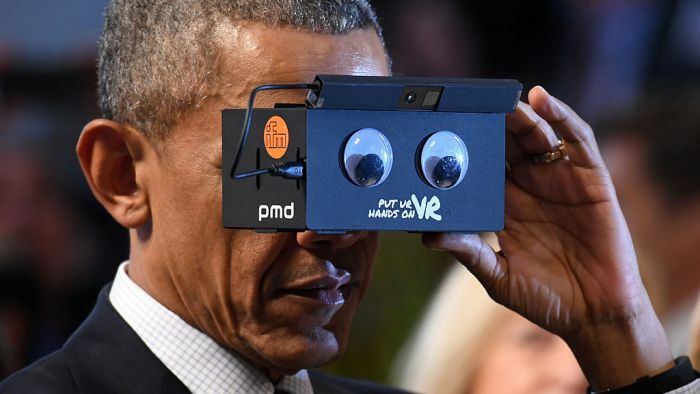 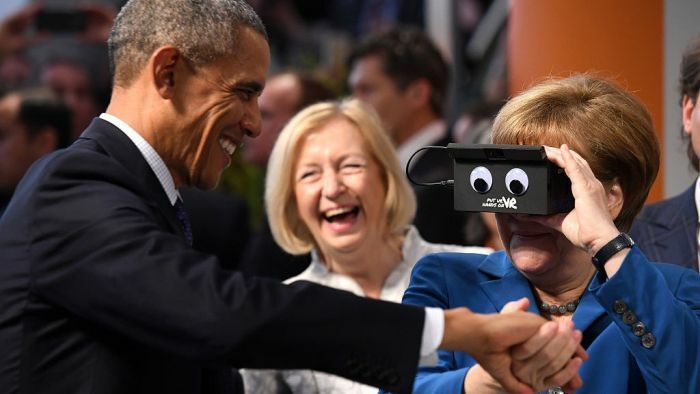 Obama and Merkel attended a trade fair where they had the chance to try out some virtual reality technology. 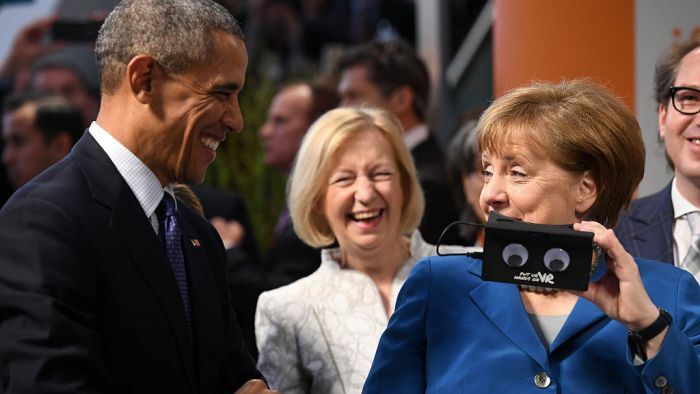 The duo seemed to have a good time together as they got to try out some new gadgets and share a few laughs.